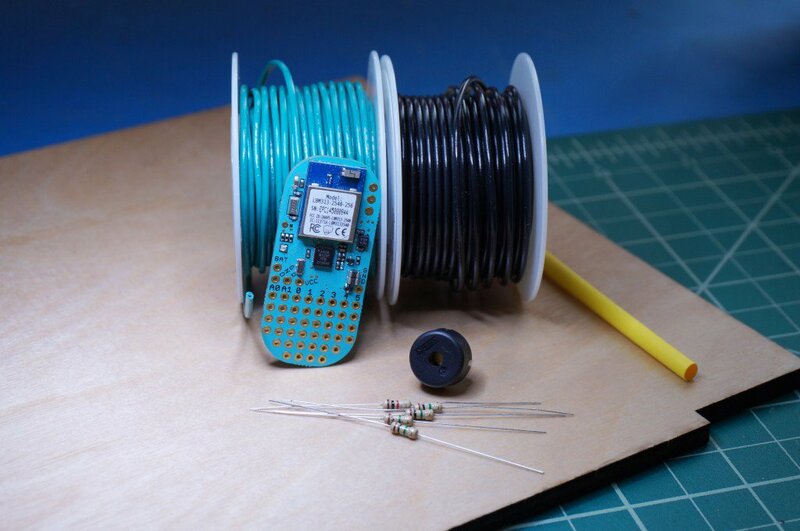 For this project, I was going to create a blue bean operated piezo buzzer ukulele. I used some plywood, a blue bean, some ohm resistors, a piezo buzzer, and some electrical wires. I used a solder to solder the wires to the bean. I never finished this challenge because the blue bean broke before we could start to use it, and so I had to order another one. It hasn't come yet. After this creator's studio elective session, I will be working during study hall to finish the project. I think the most fun part of the project was learning about the circuits and what they do. If I could change something, I would be more careful in the past so I could keep working now. I have run into some difficulty creating the ukelele, and then blue bean I was using broke. I am ordering another one, and it should come in the next few days. When it comes, I will start to work again, and then I will hopefully be able to finish. 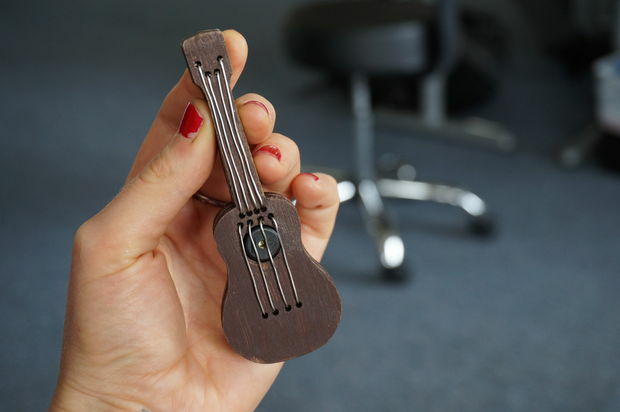 For my next project, I will be putting together a tiny ukelele that actually plays notes. It uses a blue bean (arduino adaptable) to play a series of notes when strummed. 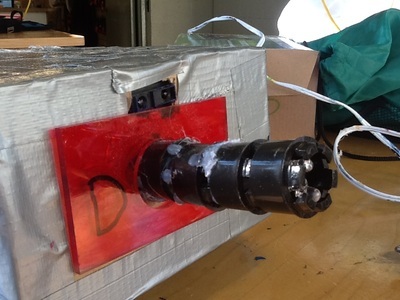 Project Description: My project was to build a cube that would light up the dark. 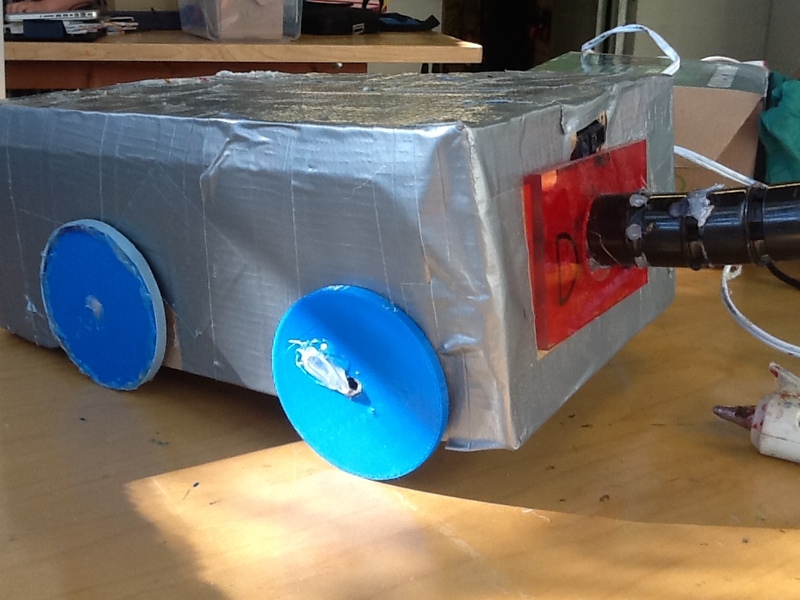 Materials: My materials were sandpaper, acrylic, electrical wire, hot glue, solder, batteries, battery holders, a button switch, and LEDs. The most challenging part was of the project was probably startng again from the year before. I didn’t have the chance to finish last year, and starting this year was challenging. The most fun part of the project was actually seeing it work for the first time. That made me happy. I learned that sometimes if the LEDs are backwards, it won't light up. There were a few times things didn’t work out as expected. The first few times I tried it, it didn’t work. I had to reverse the LEDs and then it worked. Links: dylantechnologyportfolio.weebly.com here is the link to my blog. Changes: If I could change it, I would have added a few more LEDs to make it brighter, and sand the sides more. 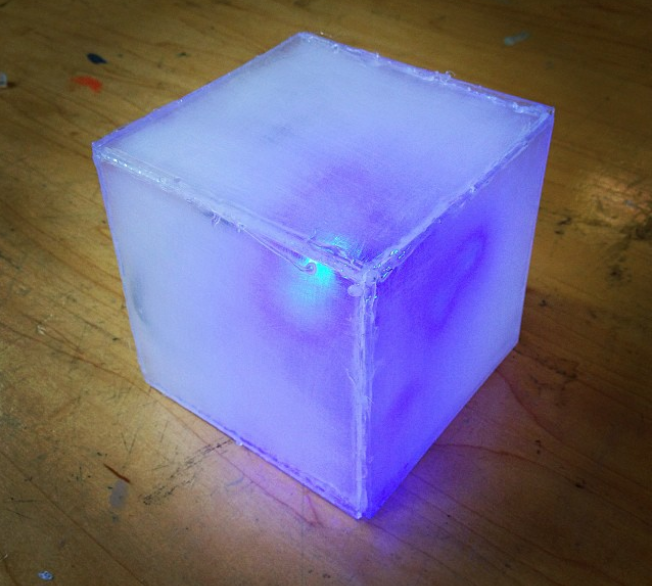 For my individual project, I create an LED Cube that also functions as a Reading Light. It is 4 1/2 inches by 4 1/2 inches. 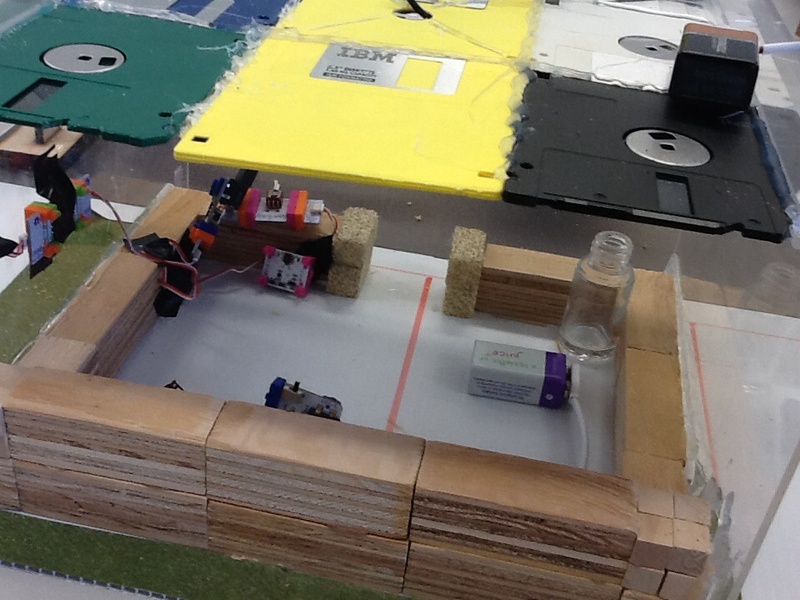 In the inside, there is a little circuitry. 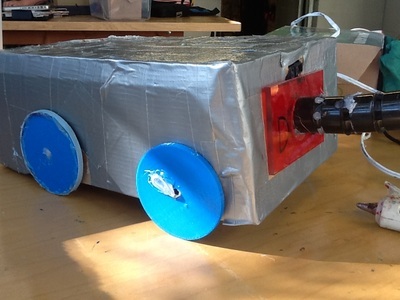 There are batteries, LEDS, and a button. The outside is sanded acrylic glued together with hot glue. It took about 8 classes to create and finish. 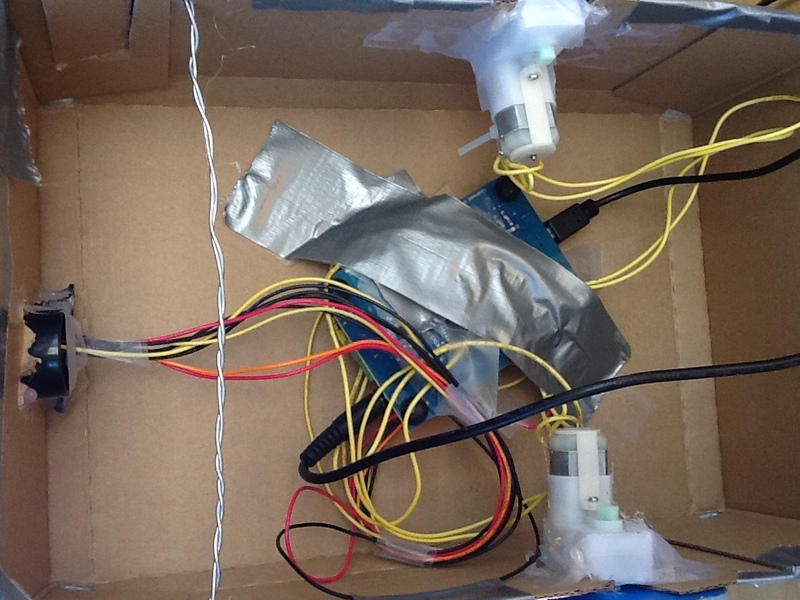 For our Hummingbird Project, Chase and I created a tank that ran on a code from Create Lab Visual Programmer. We built a tank that has LED lights in the barrel which lights up when you get close. It follows you when you are far away, and moves back when you come close. The most challenging part of the project was putting on the wheels. They kept falling off, and when we put them on, they didn't work. We used rubber bands to create traction. We had a lot of fun being creative with our ideas, and putting it all into the tank. I learned that coding is difficult, and takes a while to actually come together. We had a lot of fun creating this project. For our Lumino City house, we built a modern building with disquettes on top. He have a bottle for storage, a fan, and LED lights. The back is open for viewing purposes, and we have plexiglass walls. The base floor is wood, and there is grass lining the outside. We are very proud of our house.